Switches are the fundamental interconnect component of a campus or industrial network. Cisco offers a variety of switches specifically designed for different functions. Cisco Systems has been a name strongly associated with network equipment, ranging from broadband modems to IP telephony systems. It offers an open, programmable and secure portfolio. Cisco, a major networking organization, has delved into software-defined networking (SDN) and network functions virtualization (NFV) with several of its products and services. from core to edge Cisco Switches deliver high performance, high availability, comprehensive security , scalable solutions to meet the needs of small businesses, multi-site enterprises, data centers, or Service. Cisco offers two types of network switches: fixed configuration and modular switches. 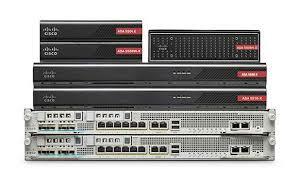 Cisco Catalyst 2960 Series, 2960-S Series, 3560 Series,3753 Series,4900 Series, Nexus 3750-x 3560-E Series and much more. As the name implies, allows you to add expansion modules into the switches as needed, thereby delivering the best flexibility to address changing networks. Examples of expansion modules are application-specific (such as Firewall, Wireless, or Network Analysis), modules for additional interfaces, power supplies, or cooling fans. Good example modular switches are: Cisco catalyst 4500, 6500, Nexus 7000 and much more. Cisco has been central to many historic changes in technology and its use. Now, when the technology industry is going through a period of dramatic change, Cisco remains the market leader in multiple areas, such as routing and switching, unified communications, mobility, and security. The company helped catalyze the industry’s move toward IP, and, now that it is fully under way. Cisco was the first company to offer fully-featured and fully-configurable systems for small, medium, and huge companies. It offers management tools and applications that ease network deployment, improve operational efficiency, increase network up-time, and reduce total cost of ownership. Cisco offers the industry’s broadest and most versatile portfolio of secure, high-performance, Network Foundation products. In addition to offering individual products appropriate to specific network requirements, Cisco provides the unique value of end-to-end integration across the network. This value starts with Cisco foundation products, which incorporate numerous features that enhance the overall security, performance, reliability, and manageability of the entire network. Cisco routers contain integrated security features that work with Cisco firewalls to proactively detect and prevent security threats. To help ensure the performance of time-sensitive applications, Cisco routers also include QoS features that classify and control network traffic. These features help to ensure that voice and video applications have priority, while other services run reliably. Cisco switches include intelligence that enhances security and performance, with features such as the ability to recognize IP phone addresses and to automatically place them in the proper voice VLANs. This intelligence is included in numerous standalone and stackable configurations, speeds, and manageability to help ensure that an appropriate switching solution is available for all business requirements. As more sophisticated business applications, higher traffic volumes, and tighter security measures put greater demands on the network, Cisco switching continues to evolve, providing greater intelligence and control without sacrificing the traditional simplicity of LAN switches. The intelligence in Cisco wireless access points focuses on enhancing the reliability and security of Cisco mobile communications solutions. The Cisco Wireless Security Suite, for example, provides industry-leading, enterprise-class security services. Based on the IEEE 802.1X standard and many innovative Cisco enhancements, this software provides reliable, scalable, and centralized security management with mutual authentication and dynamic encryption features to protect the privacy of transmitted data. Today’s businesses require a network platform that enables technology innovation and business-critical services across the entire network. Cisco stands alone in its ability to provide an end-to-end network platform tied together by a common infrastructure and a common operating system, and manageable as a single, cohesive entity. To enjoy Cisco product and service, buy the best of Cisco switches at the best price in Nigeria, Kara.com.ng is the no one online shopping website you should visit. Kara.com.ng offers all types of Cisco switches in Nigeria which at the best possible price, enjoy a quick delivery service to any location in Nigeria with Kara.com.ng.